Today I'm sharing with you one of my favourite perfumes at the moment - this gorgeous fragrance from Roger & Gallet! 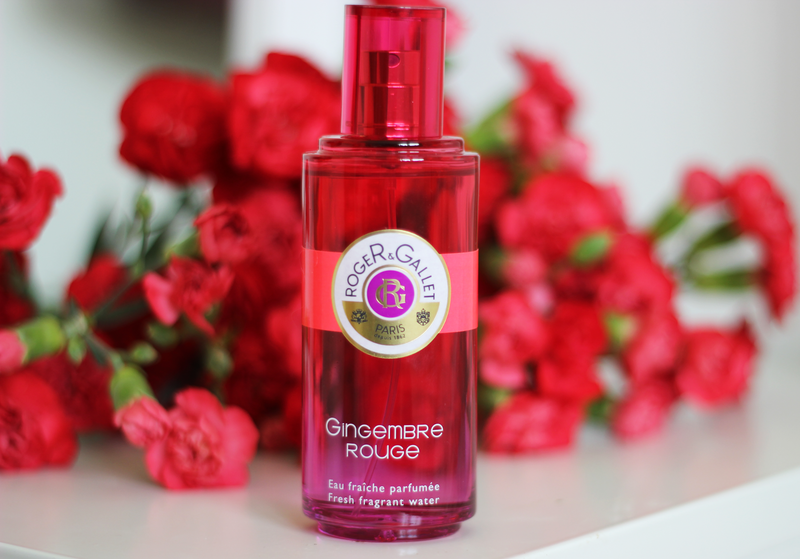 'Gingembre Rouge'* is a new take on Roger & Gallet's 'Gingembre' released 11 years ago. A beautiful light Zanzibar-inspired fruity/citrus scent with a ginger kick to it, Gingembre Rouge is unlike anything I've ever sniffed in the past. For me this hit just the right spot. The notes blend so nicely together, and no fragrance 'jumps out' more so than the others. The citrus aspect takes you away from the baking side of 'ginger', creating a really unusual blend which I just can't get enough of! I absolutely love Roger & Gallet's fragrant waters, and have tried the 'Fleur de Figuer'* before as well. (If you're a fan of figgy fragrances, you will ADORE that one, and so perfect for the colder months!) Although they tend not to be strong as a normal perfume, each spray really does give quite a big kick of fragrance! For me, the smell is still very slightly lingering by the afternoon, but ideally you'd want to top it up after 6 hours or so to ensure it sticks around. These fragrant waters come in two different sizes, 30ml/£16.00 & 100ml/£32.00 and are available at John Lewis, Marks and Spencer, Feel Unique, Escentual and House of Fraser. I will have to hunt this down and take a sniff! Wow i've never heard of this brand before? Have I been living under a rock haha?